You are here: Home / Business / Small Business Guide: Who are your Customers and Who is your Competition? *This blog is Part 3 of a series on small business guidance. Stay tuned for more blogs. Check out Part 1 and Part 2. Identify your customer groups. Of course, your customer groups depend on whether you plan to sell directly to consumers or if you sell through a channel of distributors, wholesalers, and retailers. In your business plan include your targeted customers, their characteristics, their geographic locations/demographics. This part is not fun. … but, you have to know who your competitors are. Familiarizing yourself with your competitors can only help you and your business. 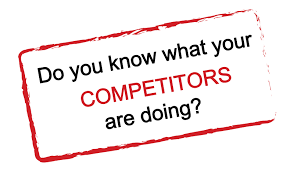 List your competitors and include their products/services. How will you competitors compete with you? For certain products? Certain customers? In certain locations? How will your products/services compare with your competitors? Evaluate your company and your products/services honestly and carefully. Think about how you will measure up in customers’ minds. Does your company and products/services have any strengths and/or weaknesses? For every one of your products/services rate its strengths and weaknesses and how important that product/service will be or is important to customers. Look at the quality, selection, stability, appearance, and price of your products/services. Who are your close competitors? Where are they location in relation to you? Are your competitors’ businesses steady? Increasing? Decreasing? What are your competitors’ strengths? Weaknesses? Resources? Compare your answers to your company. How will competitors react to your entry? Be sure you can identify and articulate the reason(s) why someone would buy from you instead of from your competitor(s). *Remember: as uncomfortable as it may be, know your competitors and what makes them successful. Research what draws customers to your competitors. Part 4 of this blog series will cover how to promote your product/services.